Common Grow works with farmers and other landholders, home buyers, government, and non-profit agencies to identify, preserve, and/or reclaim farm land. Common Grow provides legal and land use services to preserve and cultivate the beauty and purpose of farmland in our communities. Our legal services pinpoint the needs and goals of farmers and food entrepreneurs to foster their entire enterprise. Our land use consulting services seek to integrate small farming operations with low environmental-impact residential development. Through the combination of strategically-located home sites, building techniques that do not diminish environmental quality, and common areas created by easements and other agreements, we protect precious viewsheds and watersheds, guaranty homeowners a landscape free from development, and support agricultural operations to encourage their growth. Common Grow creates easements and agreements to protect common areas for farming, recreation, or conservation. With the strategic use of agricultural and development restrictions, tax benefits, contract and lease agreements, and the building of carefully considered home sites, Common Grow works with farmers to realize financial security without having to sell off their farm for full-scale development. This, in turn, can offer opportunities for young farmers to manage farms and build markets for their food without incurring debilitating debt. Also, homeowners can enjoy life on a farm without shouldering the financial and other responsibilities of maintaining the land on their own. Finally, land trusts and municipalities gain partners in ensuring that preserved land is properly stewarded well into the future. Common Grow is committed to the design and planning process, because that is where the value is added. We rigorously study the land, local zoning ordinances, and governmental and non-governmental resources to reveal a property’s best uses. 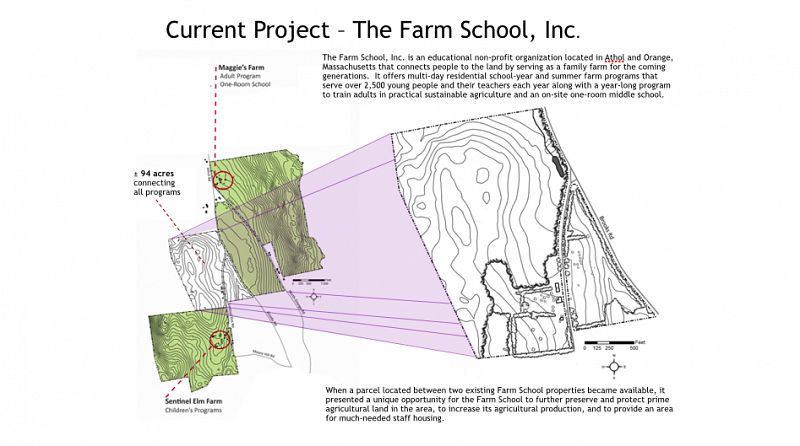 Should portions of the land be preserved for farming and/or natural habitat conservation, and should limited portions be used for homes to help sustain a farm? Each Common Grow Project, like every individual, piece of land, and community is necessarily different. The lay of the land, its features, its history, and the larger community all create a context in which the planning and design must work. Common Grow carefully considers them all to create common areas that will be an asset to the community and provide value for its owners. Common Grow was formed to provide legal services for farmers and food entrepreneurs. Here’s a bit of what that means from cradle to grave. Should your farm be a sole proprietorship or should it be incorporated? What’s best – a C Corp, S Corp, B Corp, an LLC, a cooperative, a non-profit corporation? Common Grow can help your business from its inception, by matching its form and governing structure to its mission, so that you can best achieve your goals. Are you considering a joint venture agreement with potential investors? How do you negotiate and memorialize agreements for a livestock purchase, a community garden, or a shared workshop or fruit trees? Common Grow conducts a wide array of “transactional” work so that you can enter into agreements that can help make your business dreams (not nightmares) come true. Now that you’ve arrived at the perfect jam recipe, jarring process, and catchy name, how do you make sure that someone doesn’t take your work and run with it? How do you protect your farm from personal injury claims, employment disputes, regulatory action, and other nastiness? Common Grow can assist with intellectual property and trademark issues. We also provide guidance and litigation support in matters involving employment law, personal injury, contract disputes, and regulatory compliance. 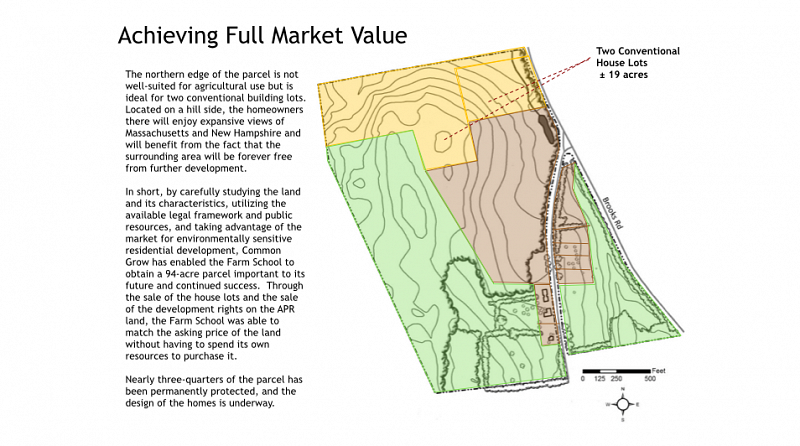 Want to sell or purchase a farm? 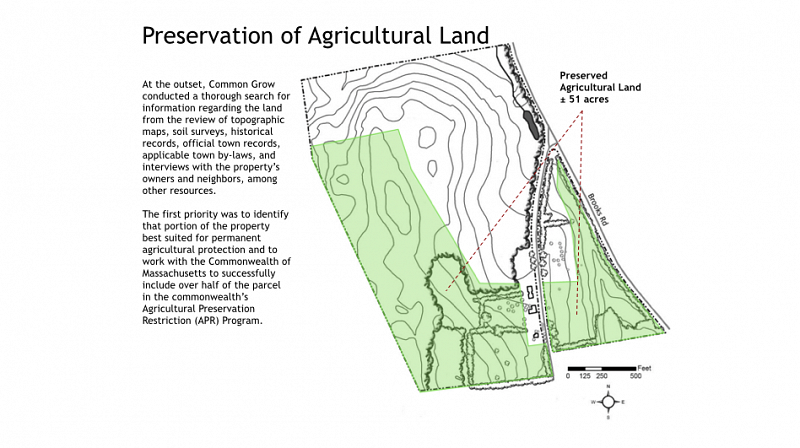 Want to preserve your land for agricultural or conservation purposes? Want to provide housing for family, friends, employees, or farm supporters? Common Grow handles real estate transactions and zoning and permitting matters. It also creates documents for the recording of easements, covenants, and restrictions and for the establishment and governance of trusts, subdivisions, common interest developments, eco-villages, co-housing communities, and farm- supporting communities. What will your legacy be? How do you protect your farm for future generations, whether it’s kept in the family or not? If you don’t want to sell off the farm, how do you fund your retirement or pass along an inheritance to your family? Common Grow helps you choose what estate and business succession planning tools to use – wills, revocable or irrevocable trusts, buy-sell agreements, powers of attorney, health care proxies, etc. – so that you can still achieve your goals even when you may no longer be able to work for them.